The Egyptian Cancer Research Network, is a collective of research professionals, research groups, research organizations and institutions involved in Cancer research in Egypt. The ECRN aims to provide links between the various cancer research professionals in the country. These links facilitate the design and implementation of research studies in cancer . . . The purpose of the Network is to provide links between the various cancer research professionals in the country. These links facilitate the design and implementation of research studies in cancer by enabling researchers to identify and locate resources and expertise that may not be available to them at their own institutions and hence plan collaborative work that may not be possible for a single institution separately. The network also enhances the conduction of large scale research studies that require the participation of multiple institutions, the identification of National research priorities in the field of cancer and the process of technology transfer among Egyptian research institutions. 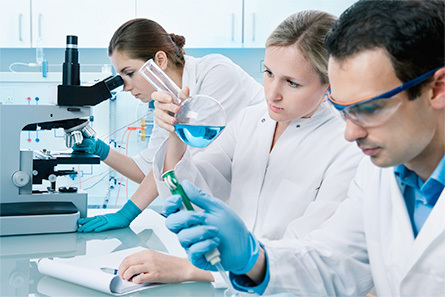 To empower cancer research nationwide by establishing organized formations, pooling resources and expertise and fostering a collaborative rather than competitive culture that allows cancer research in Egypt to move forwards based on the strengths of many and unhampered by the deficits of any single organization. Our mission is to establish functional links between cancer research groups operating in Egyptian universities and research centres that enable them to share resources and expertise, conduct large multicentric and multi-institutional studies, address nationwide cancer research priorities and provide a robust evidence base for strategic planning for cancer health services Nationally and regionally. To assemble a directory of research institutions and organizations involved in cancer research in Egypt . To assemble a directory of individual researchers and their specific areas of expertise and contact details . To launch a website for easy access to the listed personnel and organizations . To nominate a scientific lead person and an administrative lead person at each institution . To conduct open discussion forum alongside local and National conferences that aim to identify National priorities in cancer research and possibilities for collaboration on specific projects . To develop research programs that shall be conducted in collaboration among the network memebers . To locate and advertise funding opportunities for cancer research To connect with regional and international cancer research organizations . 1- Development of collaborative research programs . 2- Provision of access to research equipment and expertise with collaborating research groups and organizations subject to institutional regulatory procedures . 3- Continuous assessment and evaluation of National research training needs in the areas of cancer research . 4- Defining National priority areas in cancer research . 5- Provision of administrative and scientific support to collaborating research programs in order to ensure their successful completion .